Indianapolis-based Simon Property Group (NYSE: SPG) announced Monday afternoon that it was ending its roughly three year old rewards program, Simon Rewards. 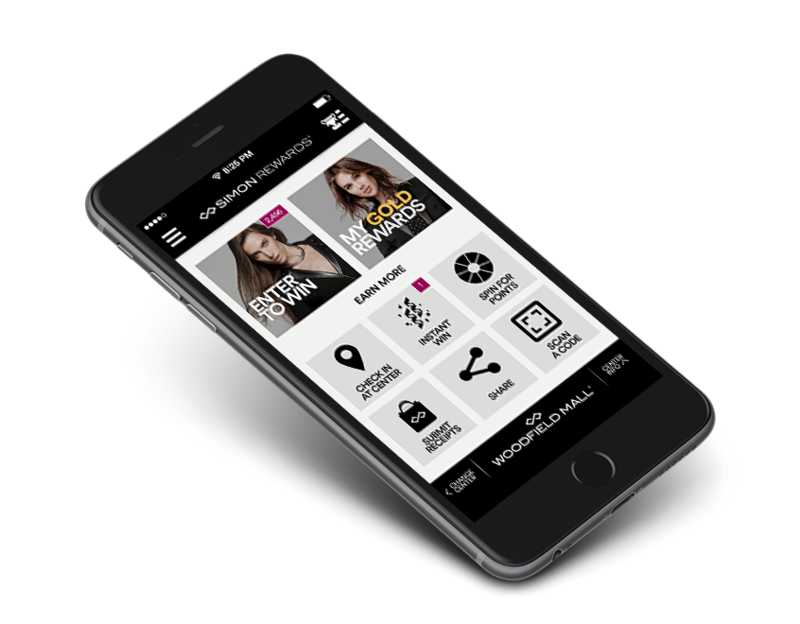 The program, which was only available at select Simon-owned centers, rewarded customers with points that could be entered into multi-market contests, and provided opportunities to win offers/coupons instantly by "checking in" to local malls. In Atlanta, Simon Rewards was available at both Lenox Square and Phipps Plaza in Buckhead as well as Mall of Georgia in Buford. Simon MallPerks, an earlier program, rewarded shoppers with points that could in turn be redeemed for coupons and gift certificates to participating retailers and restaurants. The MallPerks program was launched in 1995 and discontinued in early 2001. When it ended, MallPerks reportedly had 2.3 million members. "While Simon Rewards has given us the opportunity to reward loyal mall shoppers like you, we will be transitioning to a new and improved rewards program." "Simon Rewards will end on August 13, 2017. No new points may be accumulated as of today [July 10th], and you will have until August 13, 2017 to redeem your available points." In addition to the three malls in Atlanta, Simon Rewards was also available at Gurnee Mills, Orland Square Mall and Woodfield Mall in Illinois, Roosevelt Field, Smith Haven Mall, The Westchester and The Shops at Walt Whitman in New York and Ross Park Mall and South Hills Village Mall in Pennsylvania. Simon Rewards is being phased out in favor of Simon Insider. The new program will be available at 20 properties, including Lenox Square, Phipps Plaza and Mall of Georgia, as well as many but not all of the properties from the prior program. North Carolina will join Georgia with three properties including SouthPark [Mall], Concord Mills and Charlotte Premium Outlets, the only "Premium Outlet" property participating. Interestingly, in researching this post, I discovered that Simon had in fact been running both programs simultaneously with the "Insider" program already in effect at both SouthPark and Concord Mills, among other properties, while we in Atlanta were apparently testing the "Rewards" program. Simon Insider is similar to Simon Rewards but with one clear difference in that it requires members to link their credit or debit cards to their account to enjoy the benefits of the program, a stipulation that was optional during Simon Rewards. "Just provide your email and enter the credit or debit cards you already use to shop, and you’ll start enjoying the benefits of Simon Insider immediately. Your progress and exclusive offers will be emailed to you. Almost every purchase at participating centers counts towards your next reward. There are no coupons to print or codes to remember. Just shop with your registered cards and get rewarded back on your card automatically. When you earn a cash reward, it can be automatically applied to your next eligible purchase at the center in which it was earned. In addition to cash rewards, VIP access to our Reserved Parking spaces is awarded to members that spend $1,000 or more in a month." Simon Insider is operated on the Spring platform, a loyalty reward service that in addition to having partnered with Simon, has deals with Taubman, Starwood Retail Partners, Macerich and PRIET. (Spring reportedly handled the backend for Simon Rewards) In collaboration with the mall operators, Spring also has partnerships with VISA, MasterCard and American Express. American Express also has a similar partnership itself called "Plenti" that allows customers to earn points that can in turn be redeemed for credit towards purchases. In addition to Plenti, American Express also has an "offers" section on its app where cardholders can "claim offers" from select merchants offering anything from x-many points to x-many dollars off of an x-dollar purchase. Interestingly, even deal site Groupon is getting on on the "linked card" craze. Groupon teamed up with Visa to launch the new rewards platform called "Groupon Card Linked Offers". "There is no 50% discount nor a 50% revenue share like our previous business model. It is very similar to Spring Rewards or American Express Offers, as the discounts are very small (20-30% cash back) and they link automatically with a Visa card (no vouchers or redemption)." “While the platform leverages transaction data to understand consumer shopping behavior, mobile is the channel that allows us to reach shoppers in real-time to present targeted content and incentives,” said Jonathan Dyke, co-founder of Spring in an interview with RetailDIVE. Were you a member of Simon Rewards? Will you become a member of Simon Insider? What is your favorite rewards platform? Simon Rewards was fun in its heyday, when the rewards were real and plentiful. Lately, instant wins have been rare and boring, and the once abundant Platinum offers for things like free coffee or a cupcake disappeared months ago. The main benefit to me has been the parking, so I'm glad they're keeping that (albeit at a steeper cost). I'll happily take cash over the endless points that rarely got me any bigger prizes. What's unclear, however, is if one must create an account and register for each property separately. Unlike Rewards, you can't just click and switch between locations. It seems that once you register, you're connected to only one Simon property. I contacted Spring for clarification and still haven't received any response. I do hope Simon will roll this out to all properties in their system. It would also be nice if Spring offered other deals in Atlanta, since the Insider signup says that registering with the program makes you eligible for those as well. Checking their site, there is a dropdown menu for Atlanta, but the closest deals seem to be in Chicagoland. You'll be able to use the same account throughout all of the Simon Insider properties, since they're all powered by Spring Rewards. Just log in with your existing credentials and your account will be connected to each mall. Next, we're working on a way to make it easier to navigate between your enrolled mall memberships, but it's not yet in production - our apologies for any inconvenience. We do appreciate your feedback, however, as it helps us to know which solutions our customers are most interested in.